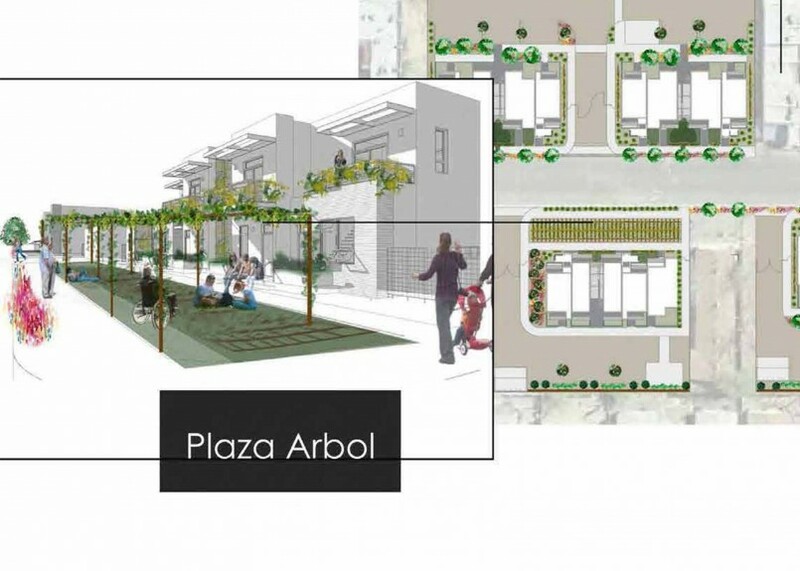 A year ago, I was thrilled to be invited to participate in the conceptual design of Casa Feliz, a progressive, low income housing development spearheaded by the Greater Albuquerque Housing Partnership (GAHP). At the outset of the project I asked, “Can we design outside the box and offer something excitingly alternative, not just business as usual?”. Indeed, that’s what we did. 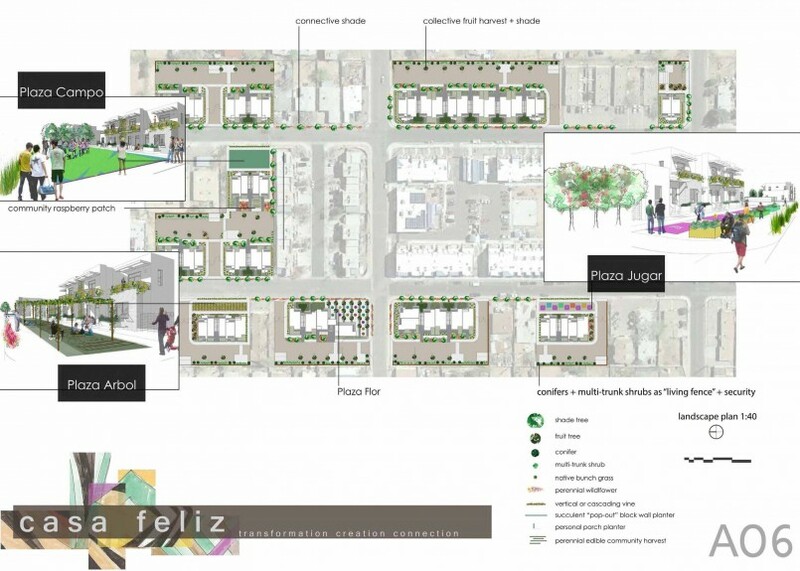 The project complements and leverages the existing 68-unit Plaza Feliz project developed by GAHP in 2012. 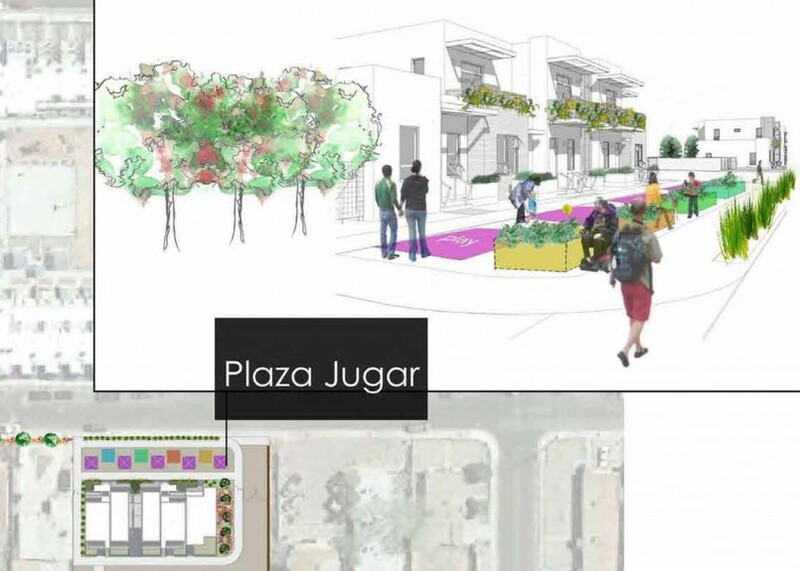 The “urban village” of Casa Feliz, for residents with special needs, will be a scattered site of thirteen (13) buildings located on ten (10) separate lots which totals just over 5.5acres, 0.25 miles south of the Central Avenue Corridor, 0.25 miles east of Louisiana Boulevard and 0.75 miles west of Wyoming Boulevard. This multi-family development will be 100% affordable for all residents. 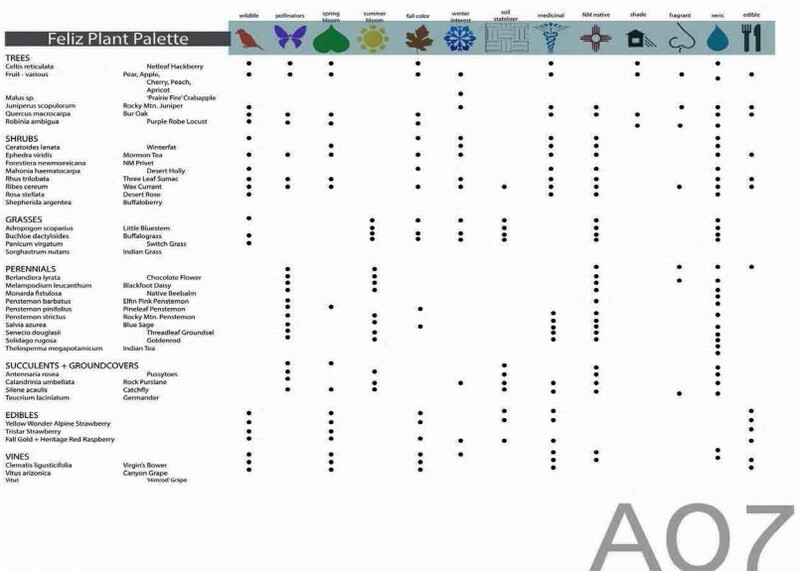 Twenty percent (20%) of the units will reserved for households with special needs and at least ten percent ( 10%) of the total units in the project will be rent restricted at 30 percent of area median income. Planted with ornamental grasses of texture and sculptural form, custom crafted steel front porch planters provide soft boundaries between public and private space, deck porch rail planters offer opportunity for residents to grow bloom, scent and food while backyards, enclosed by CMU walls, offer a soft Buffalo grass surface for leisure. 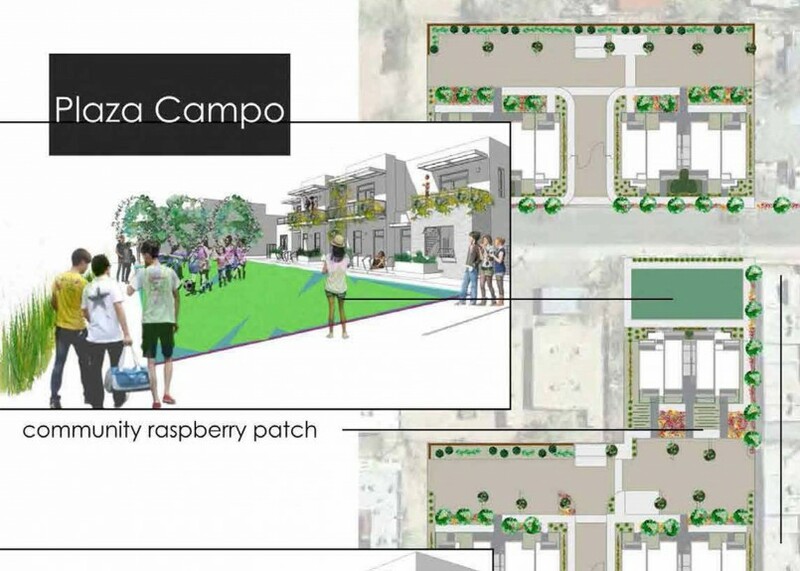 Community gathering spaces offer a raspberry patch for picking and playing, a steel trellis at “Plaza Arbol” with climbing and cascading grape vines for shade and food, xeric turf alternative “Reveille” for the “Plaza Campo” playing field and heirloom fruit trees and moveable pop-up umbrellas at the community center’s “Plaza Flor”. Vibrantly colored Vitriturf play areas at “Plaza Jugar” along with raised planters for perennial edibles offer opportunities for multi-generational and special needs access, recreation, socializing and sustenance; picnic tables, benches and bike racks complement each community space and residential building.